Here, we’ve covered powerful front/rear camera equipped 4G-LTE and VoLTE technology powered mobiles below 20K INR with excellent features. The phones support A-GPS navigation and 3G, EDGE, 2G, Bluetooth, WiFi connectivity. They have the latest quad or octa-core processor and include FM Radio, 3.5 mm audio jack, MicroSD card slot, MicroUSB port. The phones can play 1920 x 1080 pixel videos. They support 720p, FHD+, or 1080 pixel video recording with their back camera. Manufacturers of these mobiles have equipped their devices with auto-focus and LED flash. Hence, the camera of the handsets results in high-quality images. A2 is an Android Go edition handset that was launched this year in India. It has excellent features. Xiaomi stuffs its handsets with good quality Exmor series Sony cameras and Mi A2 is no exception. The Xiaomi handset employs IMX series Sony sensor. Thus, videos and pictures taken with it would be crystal clear. A2 provides two rear cameras with a 12MP + 20MP sensor. The camera of this handset can record high-resolution images and it supports PDAF. This Xiaomi device includes a 20MP selfie camera. It ships with a full HD 5.9-inch touchscreen Full HD Plus capacitive display. Mi A2 features 4GB RAM. It sails on Android 8.1 OS. The mobile has a 3010 mAh capacity battery, 64GB storage memory, an octa-core Qualcomm processor (SD 660 SoC), Adreno 512 GPU, and a fingerprint scanner. The price of the Xiaomi phone is 17000 Rupees. The Samsung mobile has 2 rear cameras and it houses an 8-megapixel F/1.9 Aperture lens equipped front 16-megapixel camera. J8 ensures that your selfie images will be of high quality as its selfie camera supports 1920 x 1080 pixel resolution. The handset packs a MicroSD card slot which supports 256GB cards. It includes 4GB RAM and 64GB storage memory. This handset gives around 10 hours of talk time and 440 hours of standby time on the 3G networks. It supports VoLTE and 4G-LTE network connectivity. This device is 8.22 millimeters thin and it is lightweight. It boasts a multi-touch 6 inches HD+ display. It features an octa-core Snapdragon 400 series processor, removable 3500 mAh capacity battery, and Android Oreo OS. J8 offers a fingerprint scanner and has 2 SIM slots. The handset is priced at 19000 Rs (Best price). Like Sony and Samsung mobile devices, Huawei handsets have powerful cameras with many useful features. You can rate the quality of photos and videos recorded with Huawei smartphones 4.5/5. The latest Huawei device i.e. P20 Lite has brilliant cameras, Qualcomm Snapdragon 659 octa-core 2360 megahertz processor, and 4GB RAM. The P20 Lite handset flaunts a single front camera with a 24MP sensor. It features 2 rear back cameras with 2MP and 16MP sensors. It supports recording of FHD as well as HD quality videos. The Huawei handset ships with LED flash. It supports flash shot, auto-focus, face recognition, horizontal and vertical panorama, super zoom, etc. P20L has a 2.5D Full View 5.84-inch FHD+ display. It runs on Android 8 OS. 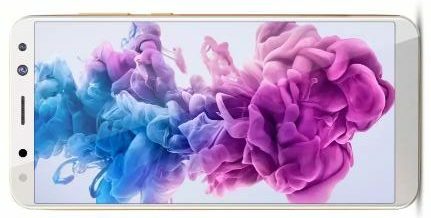 It packs 3000 mAh capacity lithium polymer battery and 64GB ROM. Vivo had launched V9 Youth in India a few months back for within 19000 to 20000 Rs. The highlighting feature of this handset is its powerful back and front-facing cameras. Along with powerful cameras, V9Y includes 32GB storage memory and it houses 4GB RAM. V9Y provides an Adreno 506 GPU and a Snapdragon 450 octa-core 1.8GHz processor. It includes a 3260 mAh nonremovable battery, LED flash system, and a front selfie 16MP camera with F/2.0 Aperture. It ships with an FHD+ 6.3-inch in-cell touchscreen Full View display with 301+ pixel density. The rear camera unit in the Vivo V9 Youth is powerful. It is powered by a 16-megapixel and 2-megapixel sensor. It supports the Bokeh effect and can record videos at ultra HD resolution. The Vivo handset runs on Android Oreo Operating System based Funtouch OS. It supports 4G-LTE network connectivity and VoLTE. V9Y is a lightweight device that has a thickness of 7.8 millimeters. It offers a fast fingerprint reader. It costs 17000 Rs. 9i from Huawei is a powerful phone with good camera specifications. The mobile encompasses a 16 + 2 megapixels camera that provides multiple shooting modes and several filters. The camera is powered by the phase detection AF system and contrast detection technology. The back camera supports various ISO sensitivity ranges and time-lapse photography. It also supports full HD and 4608 x 3456 pixels video recording. Huawei has equipped Honor 9i with an IPS 5.9 inches touchscreen display that has an FHD+ resolution. 9i includes a powerful front facing 13.0 + 2.0 million pixels full HD selfie camera. The Huawei device boasts a flash system on its front and backside. The screen doesn’t offer resistance to scratches caused by dust particles as it lacks Corning Gorilla Glass. It has amazing clarity because the pixel density is over 376. Honor 9i offers an octa-core Kirin 659 processor that clocks at 2361 MHz/sec. It gives around 1700+ minutes of talk-time and 745+ hours of standby time on the 2g networks. It packs a 3340 mAh battery. 9i features 64GB storage memory, fingerprint sensor, and 4GB RAM aka system memory. It supports 128GB MicroSD cards and 4G-LTE. The specs of this device are impressive. Hence, it’s a perfect option for people who want to buy a device with a good camera, processor, and memory features. The 9i handset is priced at 17500 INR. Nokia 6 should be there on the list because it has a great camera and good sound compared to another company phones belonging to the same price range. I have bought this phone today and I’m impressed with the phone’s camera and sound. I want a phone with the best performance. I Like Honor 6X and Coolpad Cool 1 dual. I have heard that the Honor 6X phone has a slower processor than Cool1. But when it comes to updates, Huawei rolls out regular Android updates for its Honor series phones. The camera of Cool1 is damn good when compared to Honor 6x. Which phone has a fast processor and a good camera? Lumia 830 should have been on the list. If you want to buy a best camera phone for low price, then blindly go for Infocus M2. Its price is only Rs.5000. But, its camera is above average. I am using it for the last 5 months and believe me, its camera is amazing. I want to buy a good camera phone under 25000 or 26000 budget. Please suggest me a phone that I should buy. I am using moto g2, but its camera quality is not good. Detailing are missing. So I want to change it with a good camera android phone. Hey Pramod, I am planning to buy a complete performance phone around 20000. I have shortlisted OnePlus One, Asus Zenfone 2 (4GB RAM) and Samsung Galaxy S4. Which one would you suggest considering good processing, heavy gaming, and better camera results? Also suggest better options if any….?? Is Honor 6 a good mobile, shall i buy it? For a super camera like Carl Zeiss or Pureview, sound like Xpress music and also a good battery backup, what smartphone should I buy under Rs 20000? Please advice me. Suggest me a good camera phone with a big screen more than 5-inch under a budget of 17000 Rs. Buy Nokia 6 for best camera and sound under 20k. I am suggesting this phone to you on the basis of company service. Suggest me a smartphone under 20,000 with best picture quality and a good front camera resolution. You must try Nokia 6 .